Though all ‘effects’ on text can quickly become excessive and gaudy, there are times when a hint of something different and unexpected is just the right touch to make your design pop. Here are some fun tutorials to give your designs a bit of an edge. For a nice variation when creating chalkboard typography, this tutorial offers great tips on creating an outline-sketch effect. 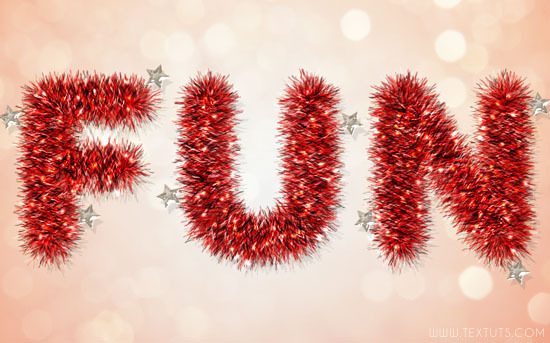 This Tinsel Text Tut is great fun when used with care to not over-do your design. This knit effect would be great for Christmas stockings as well as some of those cards for Dad. For those of you who don’t want to do all the work yourself to create the text effect, grab one or all of these template sets which are ready for you to type your message. Text Effects Packs – Check out the various sets and choose what you like. What are a few fun text tutorials without a new font or two? Nexa Rust is brand new at FontSquirrel and the purchased pack has 83 styles, but they offer a FREE CU pack of five from this big font family, so check it out. 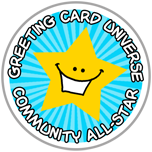 These look great … thank you! !